“Torrey Mercer is an artist who strives to be brave, and to help her fans and followers be brave with her. Ever since she knew what it was like to be pushed down and bullied, Torrey has been passionate about the cause, wanting to use her music to reach out to others and to help make a statement about the truths of bullying. Torrey has always loved music. 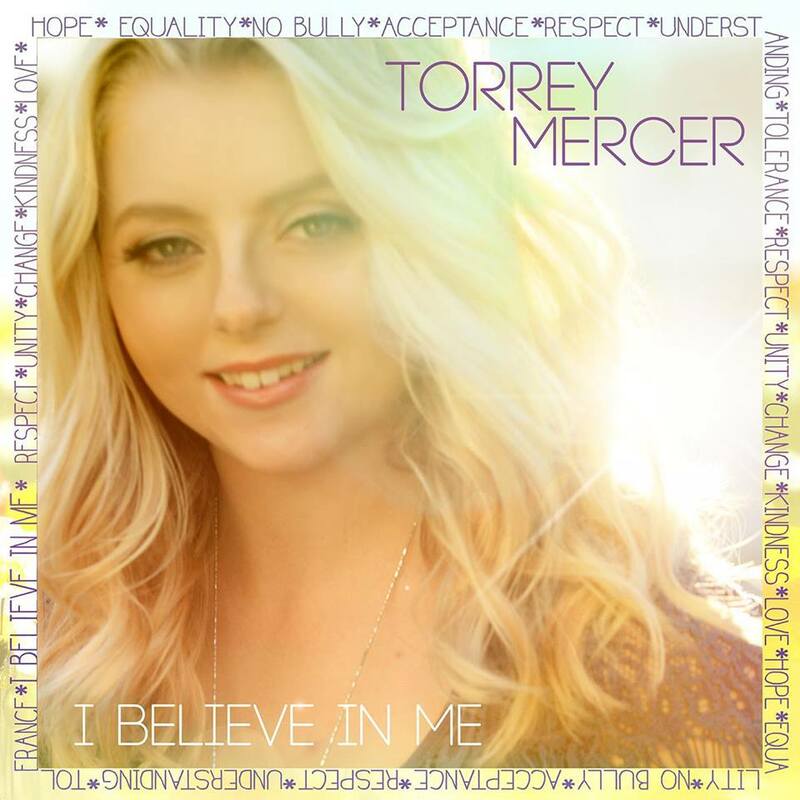 “I Believe in Me”, the single from Torrey Mercer, is a beautifully crafted Pop song that will immediately hook you with a catchy, snappy beat, soft and elegant music and a voice so powerful your jaw will hit the floor. Torrey’s voice is strong yet gentle, demanding yet inviting. The obvious focal point of the song, her voice is accompanied by a beat that will get your feet tapping, at the very least, and elegant and simple piano to set the mood. As the song progresses, the ardent passion and emotion build and the full harmony and melody of “I Believe in Me” is finally released on your ears. Ending with a soft, simple yet incredibly soulful “say you believe”, “I Believe in Me” will resonate with your most basic instincts and inspire you. Aside from being an extremely powerful song in the musical respects, the theme and idea of the song are equally as powerful. Torrey Mercer is passionate about stopping bullying, and her music reflects that passion. “I Believe in Me” is a perfect example, as believing in oneself is the start of all good things. Mercer’s music isn’t just about making music, it’s about spreading a message. And when your message is as important and powerful as Torrey’s, everyone should be listening. Be sure to share this song with everyone you know, and also be sure to get some more info about Torrey Mercer by checking out the links below. Help spread a great message, a fantastic song and raise awareness all at the same time! Enjoy!